Castor oil has a wide range of uses, both internally and externally. 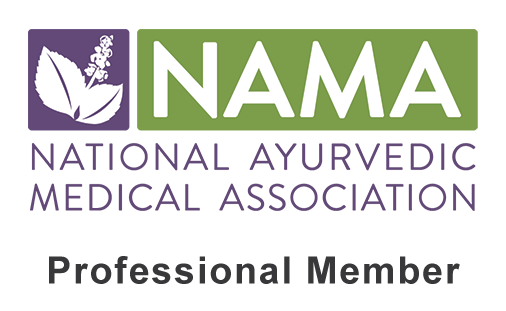 Castor oil holds a strong place in traditional Ayurvedic medicine, as well as many other ancient medical sciences. Castor oil packs are a highly effective therapy used to relieve many conditions including constipation, congestion in the GI tract, congestion in the lymphatic system, liver issues; benign tumors, cysts and fibroids; skin disorders and inflammatory issues. Although the outer shell of the castor bean is actually poisonous, it is the seed inside that is used to make the castor oil. Castor oil can still be upsetting while used internally however, and should only be taken in this manner under the guidance of a doctor or holistic practitioner. Fortunately when used externally, there are minimal to no side effects and this remedy can be utilized daily depending on the condition and the needs of the individual. 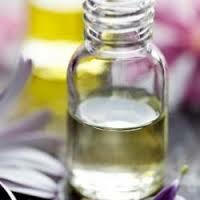 According to Ayurveda, castor oil is heating when used internally, while being cooling externally. Therefore the castor oil pack is used to treat many Pitta disorders such as eczema and psoriasis, liver issues, inflammation and arthritic conditions. The castor oil pack is not limited to simply Pitta issues however. It holds a wide range of healing properties and therefore effectively treats a variety of disorders stemming from Vata, Pitta and Kapha alike. ***Please note that castor oil packs should never be used if there is any suspicion of malignant cancer, as this can cause metastasis (spreading). Although the specifics of how often to use the packs may vary from individual to individual, the “how to” is pretty much the same for any disorder. Here is a concise list of instructions on how to apply the castor oil pack. 1. Warm a small amount of the castor oil (about 1/4-1/2 cup) in a pan on low heat. 3. Soak the cloth in the warm oil until completely immersed, but not dripping. 4. Allow the oil to soak into the cloth for at least 30 minutes before applying it to the body. 5. Place the oily cloth over the area that needs healing (i.e. uterus, colon, liver, joint, etc). Use tape or velcro to secure the pack if needed. 6. Place the plastic square completely over the oily cloth and then cover with the towel. 7. Place the hot water bottle (or heating pad) over the pack. 8. Recline in a relaxed position with pillows behind you to support the back and allow the organs space and movement. Cover with a warm blanket to keep comfortable. 9. Keep the pack on for 30-60 minutes. 10. Repeat daily, weekly or as directed. Never use during menstruation as this may cause excessive bleeding! 11. Store the oily cloth for reuse by keeping it in a plastic jar in the refrigerator. Use this cloth up to 30 times and then replace as needed. 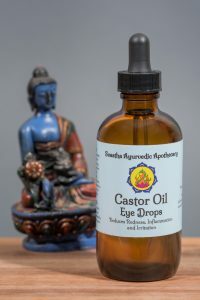 Try our Organic Castor Oil Eye Drops! According to your note stated above warning to cancer patients on using castor oil packs. As cancer patient can cannot use the castor oil pack, can cancer patients consume castor oil for detox purpose? Can castor oil be given to 4 year old kid to treat constipation? Yes, you can find a high quality organic castor oil online. 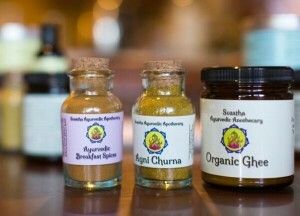 I often get my from Mountain Rose Herbs and a 16 ounce bottle tends to last for multiple uses. The soaking cloth can be obtained by using an old piece of cotton or flannel from an old sheet or teeshirt. You can purchase a hot water bottle online or simply pick one up from any drug store such as Walgreens. Thank you for reading! Please contact me anytime with further questions!